Gas Turbine Turbines from 11 up to 300 MW. 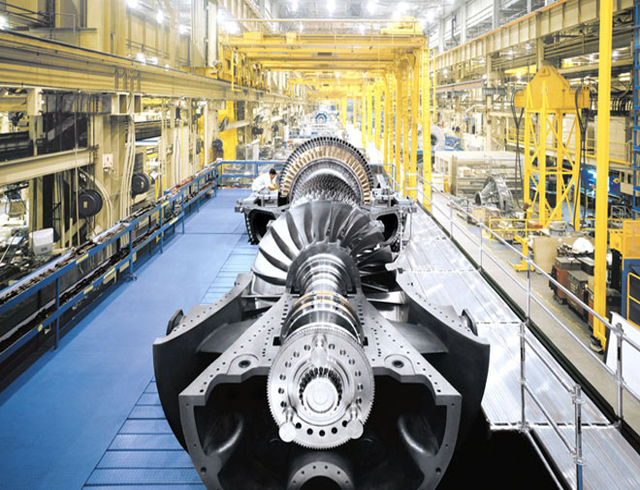 We offer the widest range of heavy duty gas turbines available, ranging from 11 to 880 megawatts. We supply machines for every utility, independent power producer, and industrial application, from pure power generation to cogeneration and district heating. This advanced technology turbine delivers power with high efficiency, availability and reliability, coupled with low emissions and low life-cycle costs. With a compact layout, fuel flexibility and carefully selected configuration options, this unit excels in a variety of localized applications for power generators, industrial businesses and district heating users. The state of the art gas turbine technology that reduces wear and tear on the turbine while burning the widest range of alternative fuels.